Tunceli Province (Northern Kurdish: parêzgeha Dêrsimê, Zazaki: Dêsim, Turkish: Tunceli ili), formerly Dersim Province, is located in the Eastern Anatolia region of Turkey. Its population mostly consists of Alevi Kurds (Kurmanj and Zaza). The province was originally named Dersim Province (Dersim vilayeti), then demoted to a district (Dersim kazası) and incorporated into Elâzığ Province in 1926. It was finally changed to Tunceli Province on January 4, 1936 by the "Law on Administration of the Tunceli Province" (Tunceli Vilayetinin İdaresi Hakkında Kanun), no. 2884 of 25 December 1935, but some still call the region by its original name. The name of the provincial capital, Kalan, was then officially changed to Tunceli to match the province's name. The adjacent provinces are Erzincan to the north and west, Elazığ to the south, and Bingöl to the east. The province covers an area of 7,774 km2 (3,002 sq mi) and has a population of 76,699. It has the lowest population density of any province in Turkey, just 9.8 inhabitants/km². Tunceli is the only province of Turkey with an Alevi majority. Tunceli is known for its old buildings such as the Çelebi Ağa Mosque, Sağman Mosque, Elti Hatun Mosque and adjoining Tomb, castles including Mazgirt Castle, Pertek Castle, Derun-i Hisar Castle, and impressive natural scenery, especially in Munzur Valley National Park, the largest national park of Turkey. Tunceli is traversed by the northeasterly line of equal latitude and longitude. The history of the province stretches back to antiquity. It was mentioned as 'Daranalis' by Ptolemy, and seemingly, it was referred to as 'Daranis' before him. One theory as to the origin of the name associates with the Persian Emperor Darius. 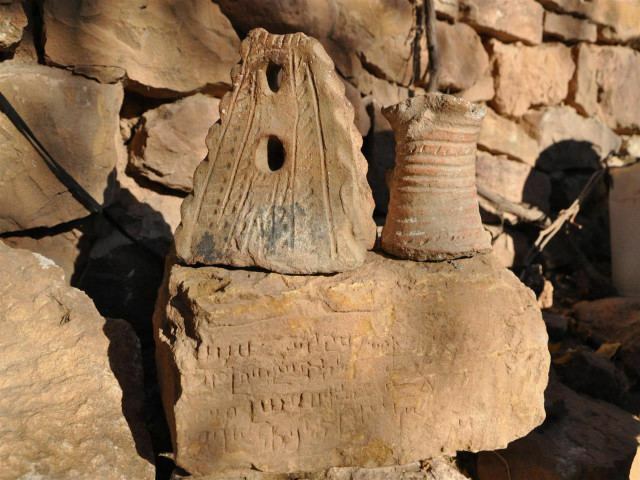 Another, more likely hypothesis (considering the region's Armenian background), says the name Daranalis or Daranaghis comes from the historical Armenian province of Daron, of which Dersim belonged. The area that would become Dersim province formed part of Urartu, Media, the Achaemenid Empire, and the Greater Armenian region of Sophene. Sophene was later contested by the Roman and Parthian Empires and by their respective successors, the Byzantine and Sassanid Empires. Arabs invaded in the 7th century, and Seljuq Turks in the 11th. As of the end of the 19th century, the region (called "Dersim") was included in the Ottoman sancak (subprovince) of Hozat, including the city and the Vilayet of Mamuret-ül Aziz (Elazığ today), with the exception of the actual district of Pülümür, which was in the neighboring sancak of Erzincan, then a part of the Vilayet of Erzurum. This status continued through the first years of the Republic of Turkey, until 1936 when the name of the province ("Dersim") was changed to Tunceli, literally 'the land of bronze' in Turkish (tunç meaning 'bronze' and el (in this context) meaning 'land') after the brutal events of the Dersim rebellion. The town of Kalan was made the capital and the district of Pülümür was included in the new province. Prior to the Armenian Genocide, The Armenians of Dersim lived peacefully alongside the Alevi Zazas, who partially assimilated into and had various Armenian beliefs. During the Armenian Genocide, many of the regions Armenians were living among the Alevi Zazas of the region, with whom they had good relations with. This allowed the Armenians to avoid deportation, and therefore survive the genocide unscathed, because their Alevi neighbors didn't have any negative affinity towards Armenians, and as explained before were somewhat Armenian themselves. The Armenians lived quietly in their mountain villages until 1938, when Turkish soldiers invaded the region to put down a Dersim rebellion, and in the process blew up the St Karapets monastery and killed around 60,000-70,000 Alevis and Armenians alike, causing an abrupt end to any open Armenian life in the province. Armenians now were forced to assimilate fully into the Alevi population, moving from their majority Armenian villages to blend in better with the population, and therefore becoming Crypto-Armenians. In modern times, many Armenians have recently tried to regain their identity with catalysts being Turkeys EU accession bid and Hrant Dinks murder, with the Union of Dersim Armenians being formed as an organization with their interests in mind. It has been noted that the Alevi Kurds in Dersim are different than general Turkish Alevism. General Alevism consider themselves Turkic Nomads Shamanic Muslims and a branch off of Islam, while Dersim Alevi Kurds don't consider themselves as Muslims and categorize their Alevism beliefs under Zoroastrian rather than Islam. They do not go to Mosques nor read from the Quran, their religion consists mostly of traditional Kurdish culture, spiritual and folklore beliefs. 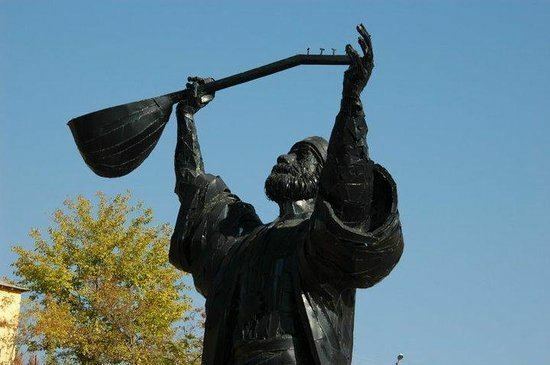 While Turkish Alevi's believe that Alevi stands for a person who worships Ali (Muhammad's son-in law and uncle), Dersim Alevi's believe the name came from "the People of Fire," implying fire-worship or Zoroastrianism, from alev, "fire". They have been practicing Alevism before the Ottoman Empire came to the Middle East and many believe Munzur, Dersim to be the heartland of the Alevi religion. Where holy places, all of which are natural features of the landscape, are found in abundance, and where the region’s isolation has insulated it from the influence of Sunni Islam, helping to keep its unique Alevi character relatively pure. An example of this would be Newroz, the Kurdish New Year and a key date in Zoroastrian. The Alevi Kurds come out to sing and dance around the fire, they dress in traditional clothing, wear a red band over their heads and play soft music to their land. This is an important spiritual event to the Dersim Alevis and is considered a holy day, much like Christmas is to Christians. Well other Kurds celebrate this holiday for freedom, the Alevi Kurds celebrate it for mostly religious purposes. They sing and dance as a way to pray to their gods/land, so that their crops and flowers can grow healthy. They lit candles so the good spirits may bring them luck inside their home. Their New Year is held usually between 18 and 24 March. The Dersim Alevi Kurds are a minority within a minority, as they're suppressed by not only their culture for being Kurdish, but also their religion as a large number of Turks and Kurds outside of Dersim/Tunceli are Sunni Muslim. The Alevi Kurds have a history of being attacked and discriminated by Sunni Muslims in the past, both by the Ottoman Empire and Kurdish Sunni Muslims from other provinces due to their religion. Because the Alevis have lived with their fellow Christian Armenians for centuries, they have Christian values mixed in with their religion more than any other Alevi tribes in Turkey. Because of this most Armenians chose to convert to Alevism instead of Sunni Islam when they were being suppressed by the Ottoman Empire. The Christian Armenians could still freely practice their Christian beliefs within Alevism in Dersim. 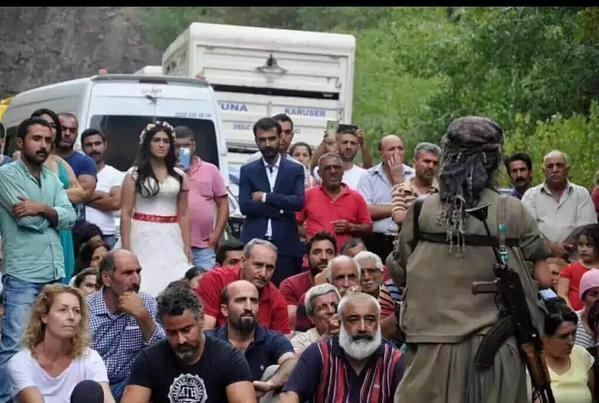 Their fellow Kurdish Dersim Alevis would encourage their Christian beliefs and would keep their true religion a secret from being prosecuted from Sunni Muslims. 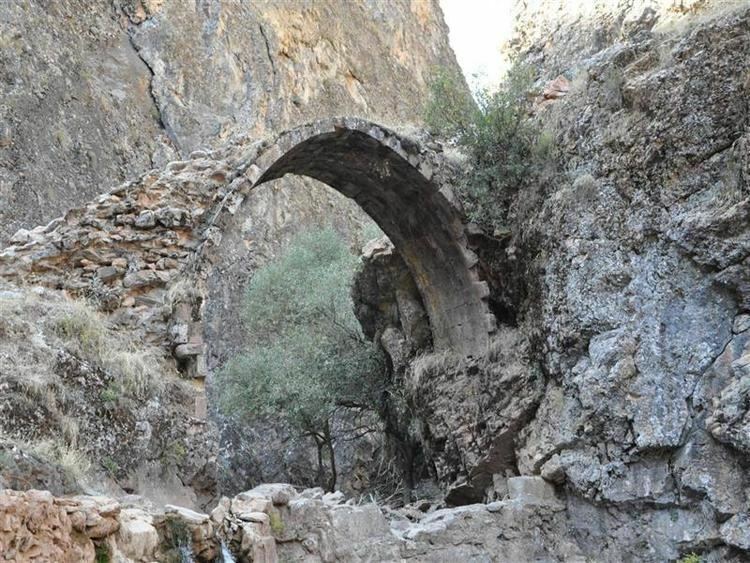 Keeping the Armenian's religion and beliefs a secret, along with not participating in the Armenian Genocide and even helping the Armenians escape their death, the Dersim Armenians have a strong bond with the Dersim Alevis and Dersim Zazas. After the Dersim rebellion, any villages and towns deemed to have non-Turkish names were renamed and given Turkish names in order to suppress any non-Turkish heritage. During the Turkish Republican era, the words Kurdistan and Kurds were banned. The Turkish government had disguised the presence of the Kurds statistically by categorizing them as Mountain Turks. Nişanyan estimates that 4,000 Kurdish geographical locations have been changed (Both Zazaki and Kurmanji). The people of Tunceli have been actively fighting to get their province reverted to its old Kurdish name "Dersim". Turkey's ruling Justice and Development Party (AK Parti) claimed they are working on what it called a “democratization package” that includes the restoration of the Kurdish name of the eastern province of Tunceli back to Dersim in early 2013, but there has been no updates or news of it since then. 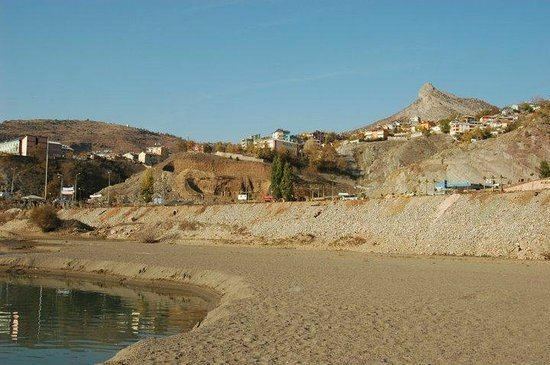 Although a distinct province, Tunceli was administered from Elazığ until 1947. Ninety-eight percent of Tunceli's population has at least a primary school education, leading to one of the highest rates of literacy for a district within Turkey. In 1979/1980 Tunceli had the highest number of students attending universities as well as the top entry points until the only higher education school shut down and was converted to a military base. Tunceli University was established on May 22, 2008. It has departments in international relations, economics, environmental protection engineering, industrial engineering, electronic engineering, computer engineering and mechanical engineering.